Louganis on the Wheaties Box – Walking Humbly. Seeking Justice. Living with Hope. 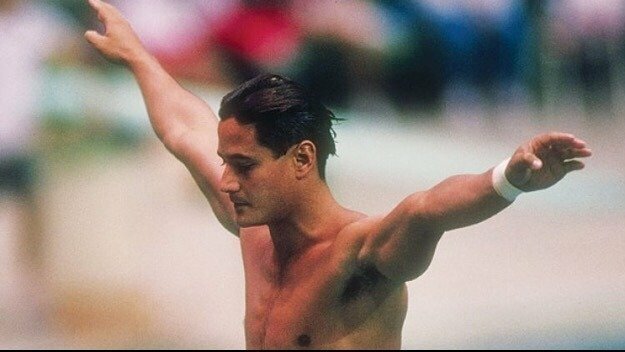 Greg Louganis was and is the World’s greatest Diver. An Olympian that captured gold medals in both 1984 and 1988, Greg was one of the first openly gay athletes. Because of his sexuality he was denied many of the perks that other Olympians received including many endorsements and perhaps one of the most coveted of American athletic triumph-appearing on the General Mills Wheaties cereal Box. It was good enough for decathlete, Bruce Jenner, Swimmers-Mark Spitz and Michael Phelps, Gymnasts Mary Lou Retton and Kari Strug, Golfer, Tiger Wood, and too many football, baseball and basketball athletes to name. But not Greg Louganis. I have had the honor of meeting and talking with Greg on many occasions. He is active in the LA LGBT community and is always gracious, kind and thoughtful. He truly is a champion. Not all mistakes can be rectified. But this one can. It’s not too late to put Greg Louganis on the Wheaties box. And let’s help fix a historical insult and error in judgement. Louganis is a great Olympian. He deserves this honor!